The founder of Smile Stylist, Dr. Jason Olitsky is a key opinion leader for Digital Smile Design (DSD). DSD seeks to present to the public a new face of dentistry, more human, emotional and artistic, further enhancing our noble profession in society, because after all there are not many things in this life that are more important than a healthy, natural, confident and beautiful smile! Smile Stylist utilize technically advanced photographic and video presentation for communication with the specialists, dental laboratory and patients. This information is utilized to improve esthetic visualization of cases to better control outcomes. It does this by giving dentists the ability to study the smile on from pictures and videos on computers and make precise measurements to share with the patients and laboratory technicians. 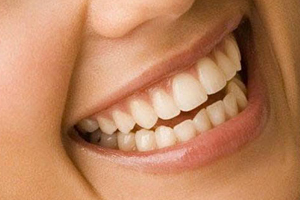 The technique increases predictability in your results by using digital scanning technology to pull from measurements of existing teeth and smile libraries to get results that are expected without surprises. This technique can include a motivational mock-up, a chance to see your new smile in real life, before committing to the new treatment.